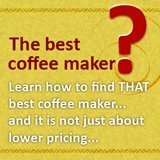 Is braun coffee maker tassimo that good? 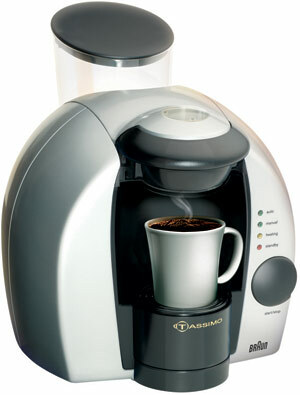 Personally, braun coffee maker tassimo is good for folks that loves to drink coffee. 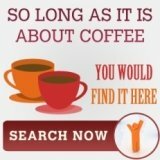 Now, for all of you that are reading this, how many loves to drink coffee but hate to have anything to with coffee makers? Laziness is the main reason for the rise of single serve coffee maker and braun coffee maker tassimo simply make it better. 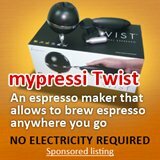 I do not know if this fits the best coffee makers profile but this is certainly a very popular machine currently. Just a note on the best coffee maker, I think so long as the machine adds value to your life, it is a great machine. And it is difficult for a Tassimo to not add value to a person life. Imagine, just a press of button and you would be able to get a wide array of gourmet coffee, tea and even hot chocolate. These features are also available in other single serve coffee maker such as Keurig, so that does not make this machine any special. The element that make this braun coffee maker so popular is its code reading ability. The tassimo has a code reader that reads the SKU code on the back of their coffee pods, known as T-disc. After reading the code, the brewer would proceed to adjust the brewing conditions that would best suit that beverage. So, every beverages would have its own brewing conditions. 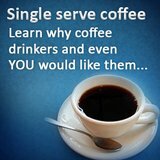 That means, you no longer need to worry about too much coffee, too little water, or burning the coffee ground. Everything is programmed, all you need to do is to press a button for the beverage. If it is so good, then why isn't everyone converting to the braun coffee maker tassimo? Well, as I mentioned, coffee maker has to fit into a person lifestyle to be consider a good coffee machine. No matter how good a tassimo might be, it has its limitations. Take for example, its single serve ability. To many folks, it would meant no wastage, but to folks that regularly host parties, it would meant long waiting time for their guest. Then, this braun coffee maker would not allow you to learn anything about coffee. And there are some folks out there that would love to learn more about coffee brewing and perfect their skills to make a smooth espresso. Again, for this group of consumers, Tassimo is not the right solution. And this is just 2 groups of consumers that would not need the ease of use brought by the Tassimo.